If you have decided to buy binoculars, you must already have a specific reason in mind. The list goes on and on about what you can do with a binocular. The top of the list includes bird watching, star gazing, whale watching, etc. In this article specifically, we will be talking about the best binoculars for whale watching. Why do we need Binoculars for a whale watching? Whales are magnificent creatures of the ocean and just looking at them in the water is breathtaking and absolutely something that every person should experience at least once in their lifetime. But as exciting as it sounds, it is not easy to get a glance at this creature. So, you need a perfect piece of binoculars to experience and look at all the details from up close. The history of humans isn’t great with animals and so these amazing creatures are very hard to capture or even look at from a fine distance. A good binocular will help us look at them which wouldn’t have been possible with a naked eye. This may sound like an unpopular opinion in this era but buying a great piece of binoculars actually requires research. Just like any other thing that you buy, there are a variety of binoculars depending upon its price, magnification, clarity, etc. When choosing the best Binoculars for whale watching, there are some requirements that you should keep in mind. 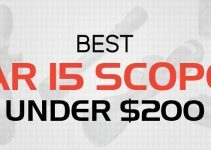 These specifications or requirements will help you make a smarter decision for yourself and help you decide the best binocular for your specific task. Magnification lens is the most important factor that you should look for when choosing for a binocular. The magnification is mentioned in the model itself like 8X, 10X or even more. Magnification basically means how much it can amplify the object. If the magnification is 10X, it means you will be able to see the object 10 times larger than you would see without a binocular. If you are going to watch the whale from the boat then 7X or 8x should be the ideal case but if you intend to watch the whales from the shore, you might want to buy a binocular with higher magnification power. The objective lens is mostly mentioned in a model with magnification like 10*45, where 10 is the magnification and 45 is the objective lens diameter. The size of the objective lens is very important as the larger lens collects more light and hence the object is seen brighter in the binocular than in real. It also increases the field of view, which is the amount of area that you are able to see through the binoculars. If you are going to watch the whales from the boat, buying a waterproof binocular might be a very good idea. The good thing about waterproof binoculars is that they are mostly fog proof as well and they don’t fog up in varying temperatures. Also, it prevents moisture from building up in the binocular. Eye relief is a feature for people like us who wear glasses. With sufficient eye relief, people who wear glasses won’t have to worry about this too. This might not sound like a very important factor but when buying a binocular for this purpose you should remember that you will have to hold this binocular for a long time to watch the whales and if the design is not comfortable, you will end up putting it aside and missing the whole show. The world of binoculars is huge and it will literally take you a lot of time to find a perfect binocular for your whale watching the show. We have shortlisted some of the best binoculars for whale watching and you won’t be disappointed. This is a type of Image Stabilizer Binocular which stabilizes the image produced by high powered binoculars. The binoculars with magnifications greater than 10X, magnify your handshakes and movements as well and that’s why it’s a little unsteady. This Image Stabilizing feature helps to produce very steady and clear images. It helps in long-range images because it autocorrects any unsteadiness caused by any hand movements or anything. Since we are going to use it for whale watching, this model is water resistant as well with a slip-free rubber body. It even comes with a tripod so you can position and watch the whales whenever you want. So, if you don’t have a problem with spending money on your favorite binocular, this might be it. 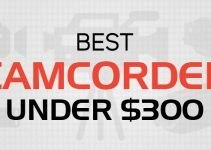 Because it is the best binocular at around $1000. Weatherproof and waterproof, which means no fog or moisture in the binocular. It has a very high-quality image produced. 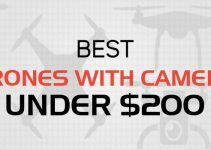 It is great for long range and distance views. It’s a little heavy than normal binoculars. 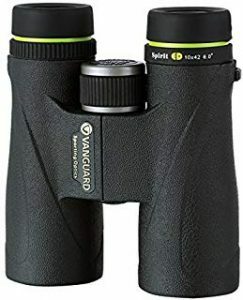 Vanguard produces some of the best binoculars, be that for whale watching, sky gazing or bird watching. 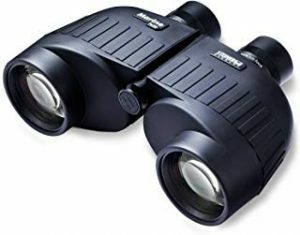 If you are looking for a binocular that is budget friendly in addition to all the functions and specifications that you need from it, you are in the right place. The binocular is designed with very good quality, making it very reliable and durable for use. The high build doesn’t mean you get a huge binocular, but a very light weighted binocular that can be held for long durations when watching the whales. The binocular is, of course, waterproof and fog proof so the moisture and water don’t interrupt your amazing experience. The binocular uses ED glass to provide the customers with high quality and a clear image. It is very convenient for people who wear glasses as well. You will get this binocular under $300 for whale watching. It has a large precise focus wheel for clearer images. The binocular is waterproof and fog proof. The lens on the binocular is multi-coated to allow the maximum light to pass through. The Steiner 575 Marine Binocular comes at the price where you don’t have to sell your arms and legs to meet the requirements. 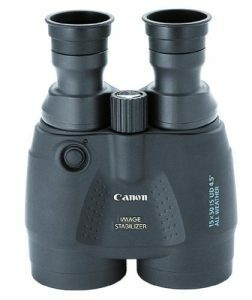 Although the body is a little bulky and heavier with the rest of binoculars mentioned but it sure has great optics performance. The binocular is ideal for ocean viewing because it produces high contoured images with the perfect definition because of high contrast optics. It is fully multi-coated to deliver you the best possible version of the object. This binocular isn’t only good for ocean viewing but being pocket-friendly, it is an amazing choice for your daily binocular. The body is rubber made and completely waterproof in case you want to swim with whales in the oceans. This whale watcher binocular also comes in the range under $300. The binocular comes with an autofocus system that can be set to put your images in focus. It gives a wide and clear view. There is sufficient light transmission through the binocular. It is easy to use for both beginners and professionals. The body is a little bulky which might hurt your hand from holding it for very long. 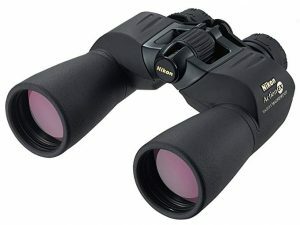 This pair of Nikon Action 10 x 50 Extreme All-Terrain Binocular delivers high quality and high-end resolution images with multi-coated lenses to pass the maximum amount of light through the binocular. They are O-ring sealed and Nitrogen filled, which makes them weatherproof and are perfect for harsh climates in the ocean while whale watching. Watching whales from the land also deliver high-quality images through this binocular. Even though they are big and bulky but they are made from rubber so they don’t slip off your hand easily while you are busy looking at those whales. This binocular is tripod adaptable, given that it is big and bulky and can’t be held in hand for land durations. The glasses wearers won’t have any problem because it features eye relief as well. It is completely weatherproof and waterproof. The design is amazing and has quality construction. It cannot be held in hands for a very long time, provided that it is heavy. 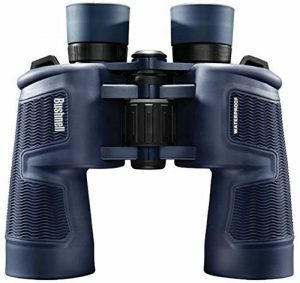 If you are looking for a small binocular, then this Bushnell Waterproof Small 8x 42 mm Binocular is the choice for you. This small binocular enables you to carry itself anywhere you travel and to look at the whales for as long as you like without your arms feeling numb. They are completely waterproof. Not just waterproof, they are O ring sealed and nitrogen purged for reliable fog-free performance. They can be completely dipped in water and will still stay dry from the inside. They have multi-coated optics that produce a clearer image and have a rubber coating to help reduce wear and tear making them very comfortable to wear. This is the cheapest binocular in all of the above-mentioned binoculars with every specification that you want. You will get this under $100. They are very affordable which means you don’t have to spend a fortune over them. The complete water resistance is its best quality. For people who wear eyeglasses, it has a feature called eye relief. The model itself is very durable. So, there you have it. We have mentioned the best binoculars for whale watching with our in-depth review and testing mechanisms. You can be sure of the best quality and build. We hope this article helps you find the binocular you are searching for. Comment below to let us know what you think of these binoculars.